Did you ever look at reality and relativity? If it weren’t for two letters, the v and the second i, they’d be the same word. I first met Connie the year after I moved to San Jose – at a 10K race. It was the era when running was in its heyday. We began participating in races all over San Jose, joking that the only reason we raced was so we could go out to breakfast afterward. And you know what? The jury is still out on that. Connie and I had other things in common besides a passion for running and a fondness of food. We were both East Coast ex-pats, she being from New Jersey. And here’s where relativity comes in. 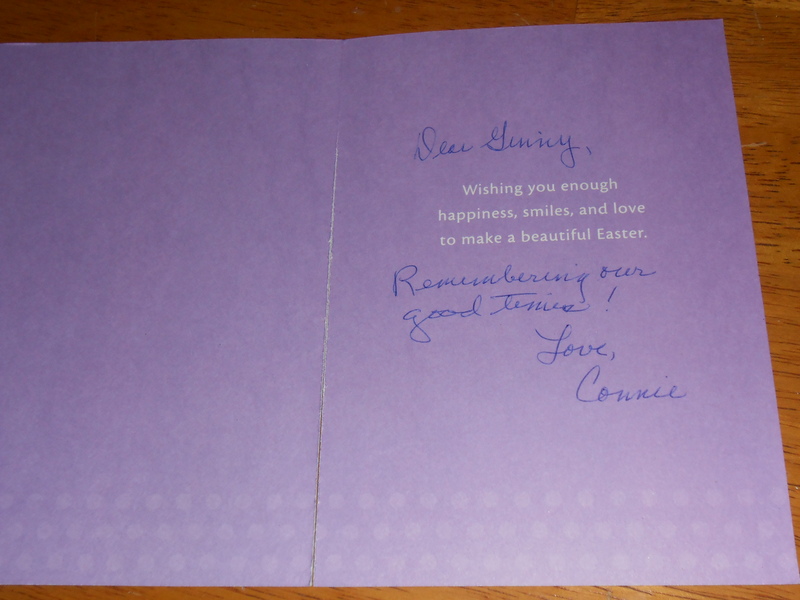 Connie was nine years older than me, but since she and her husband, Jerry had started their family very early, and my parents, fairly late, my youngest brother was only a year older than her oldest son, so in a way, I fell between the generations. Whenever I wasn’t journeying back to New York for the holidays, I had a standing invitation to spend them with her and her family. I used to say Connie adopted me. The one holiday I never missed was Easter, and her Polish brunch, a somewhat raucous event with Easter Egg fights (rules available upon request), ham, kielbasa, potatoes, and bottomless glasses of champagne to wash it all down. 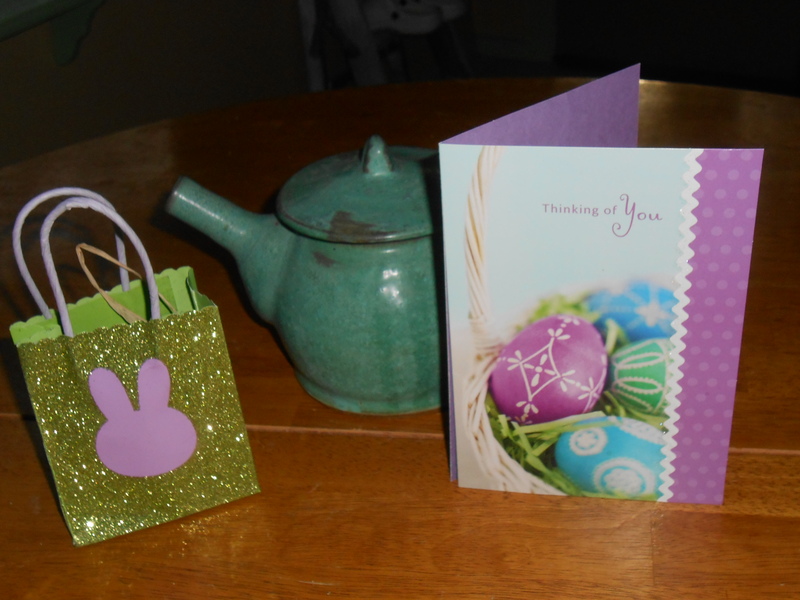 When I saw how she signed the Easter card, I assumed she was referring to those days. 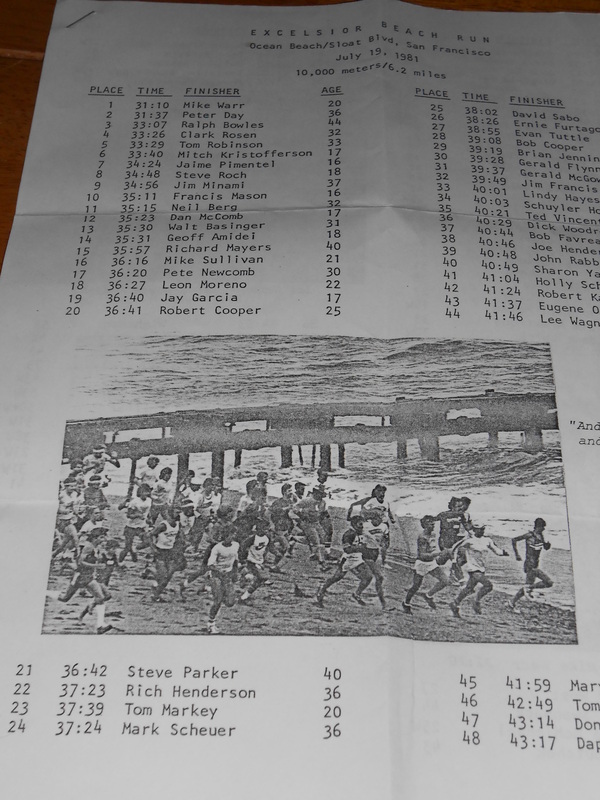 Early on in our friendship we’d driven up to San Francisco to run in a 10K on the beach. Yes on the beach, as in on the sand…… in clunky running shoes. When I looked at the results page, I was taken back. It wasn’t the hyphenated name I haven’t used in nearly twenty-five years. That settled it, I had to call Connie. I checked my watch, something I always do when calling the west coast. She’s still out there, but now up in Washington. It was great to hear Jerry’s familiar singing of hello, “then the same old “Connie, it’s Ginny,” as if I were still just across town. Connie knew me well. She was expecting my call, but was surprised when I admitted it had taken me a while to remember this particular race. She laughed. “But I wasn’t last!” Connie always ran with the fear of being the last one to finish a race. Connie came right back at me with a more alarming reality check. Until that moment my mind had preserved Lori, her youngest daughter, in the whirling drama of high school. In a flash, reality set her free. Having thoroughly depressed each other with the relative reality of our “happy” memory, we ended the conversation with promises to keep in touch. I did leave out one relative point, though. That old guy? 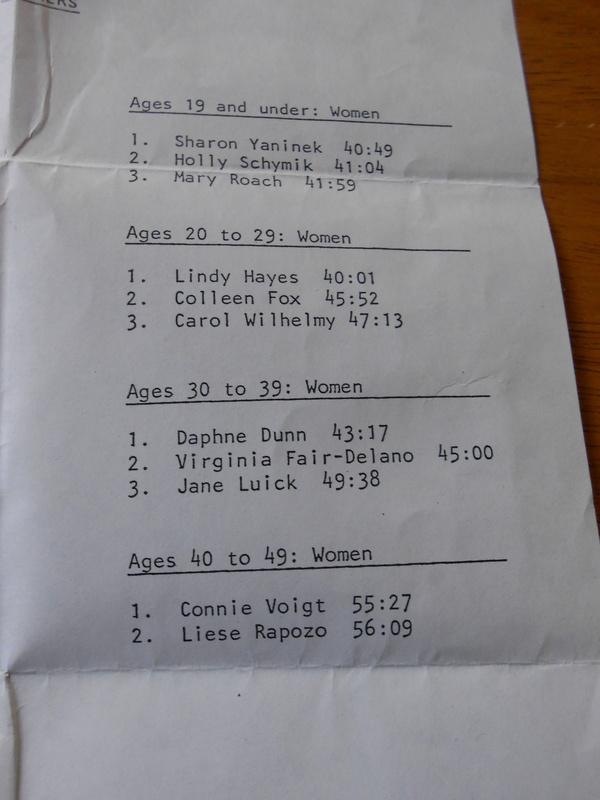 The one was nine seconds faster than Connie? The one with no inhibitions about changing out of his running shorts? Connie is now a year older than he was. But I don’t think she’d have wanted to hear that, do you?